Lighting Camera Operator, filming in a small remote villages deep in Indonesia following the life changing events of Ariya Permana – the world’s heaviest child! As part of Channel 5’s ‘Extraordinary People‘ series comes the story of 11-year-old Ariya Permana from Indonesia, who weighs a massive 30 stone – nearly three times that of an average man. 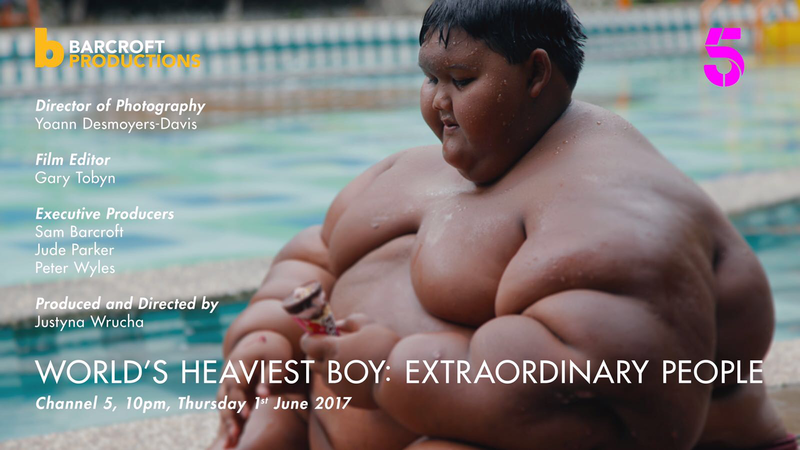 His status as the world’s heaviest boy has brought fame and considerable financial benefits – but when he becomes house-bound and his health begins to deteriorate, his parents realise they must seek medical help. Can the doctors’ tests get to the root cause of the boy’s extraordinary weight gain?